A couple weeks ago, Playdead removed Denuvo’s anti-piracy tech from the Steam version of Inside. They did so in typical Playdead fashion, which is to say without using words to explain any of it. Now id Software’s done the same with Doom. Sadly, they didn’t make the announcement with heavy metal. As part of a new patch that adds multiplayer bots and a new demon eyeball sport mode, id appears to have removed Denuvo from the game. As for why, nobody’s sure. Like Playdead (and Doom guy, I guess, if we’re going for game analogues again), id seems content to say nothing at all. There are theories floating around, though. The biggest is a rumor that Denuvo offers developers a money back guarantee if a game is cracked within three months. The (alleged) main stipulation? Developers have to remove the anti-piracy tech first. 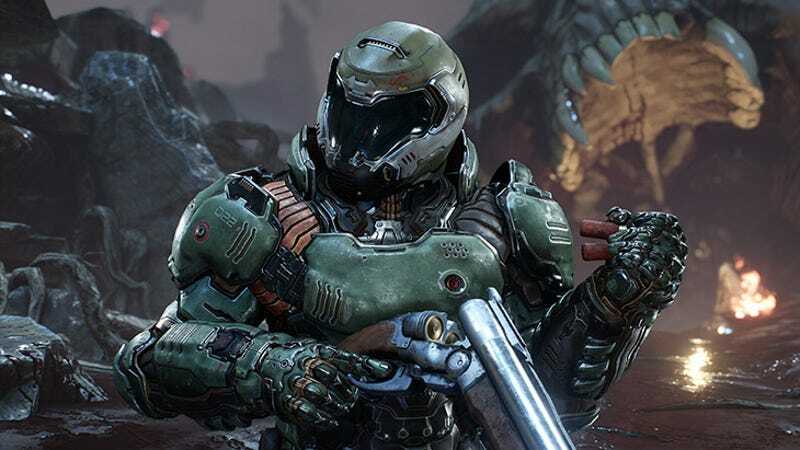 Given that Inside and Doom have both been cracked, majorly blemishing Denuvo’s vaunted un-crackable reputation, that would certainly explain the removal. That said, Doom was cracked more recently, with only its demo getting cracked in the three month window. So the simple explanation might not be the accurate one. Again, though, for now these are only rumors. I’ve reached out to Denuvo as well as a handful of developers who use Denuvo in their games, but I’ve yet to hear anything substantial from any of them. If developers keep removing Denuvo from their games, though, I doubt it will be too much longer before we hear more.